BackgroundEraser is our app available on the Mac App Store. This great application allows you to easily remove the background from your images in seconds. We have designed a user friendly interface that can perform complex tasks with ease. 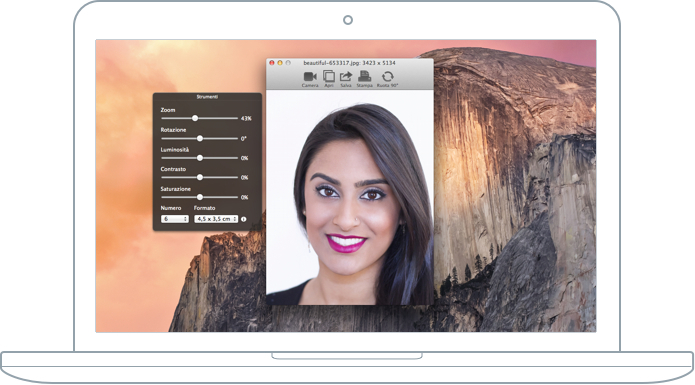 iFototessere is our application for the Mac App Store that makes it possible to create ID photos with a simple click. The application is simple and intuitive. With the tools panel you can adjust the zoom, brightness, contrast, choose the number of ID photos to save or print and their format depending on your membership status. 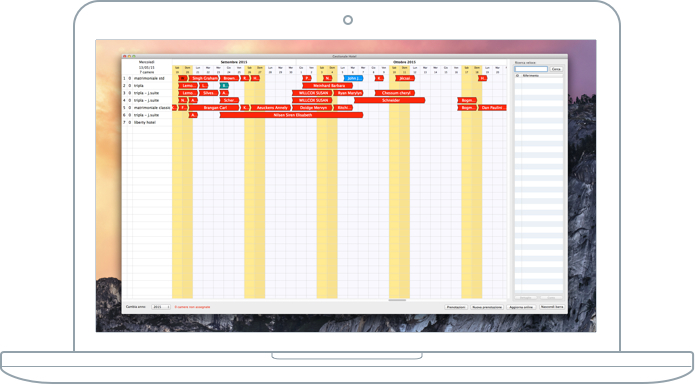 Software Hotel is management software for Mac OS X and Windows that is complete and easy to use, aimed at hotels, B&Bs, farm cottages, camp sites and holiday homes. With this management tool, the hotelier can manage their bookings, generate coupons, invoices, receipts and synchronise tariffs on online booking websites (OTA) through the Hotel.BB channel manager. This management software (for Mac OS X and Windows) allows you to easily manage suppliers, producers, tests and reagents. 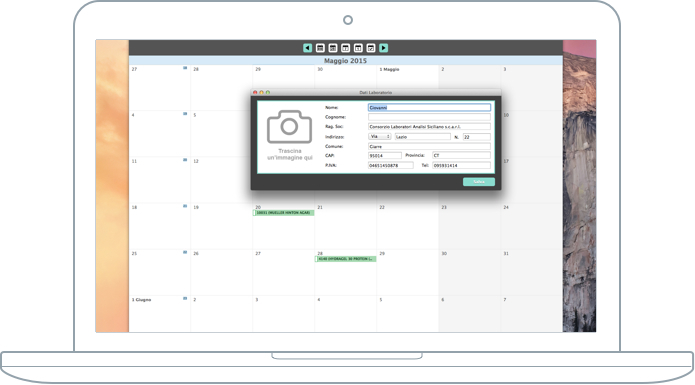 With the calendar you can view the schedules of reagents, manage their numbers and print or export the purchase order.